The move gives prosecutors eight more days to bring formal charges against the former Nissan Motor Co boss or let him go. Ghosn’s detention period during his initial arrest last November was extended several times at the request of prosecutors. The court and prosecutors were criticized by many observers for the constant extensions, but prosecutors claimed they needed the extra time to conduct their investigation and that were more charges to investigate. Ghosn was arrested for the last week on suspicion that he had misappropriated $5 million for his own benefit. He is also awaiting trial on earlier charges of financial misconduct and aggravated breach of trust, Reuters reported. He was released on $9 million bail in early March after spending 108 days in jail. From the beginning, he has denied all allegations against him. Just prior to his re-arrest last week, the executive made a video claiming he was the victim of a conspiracy. The video was released to the media last week. 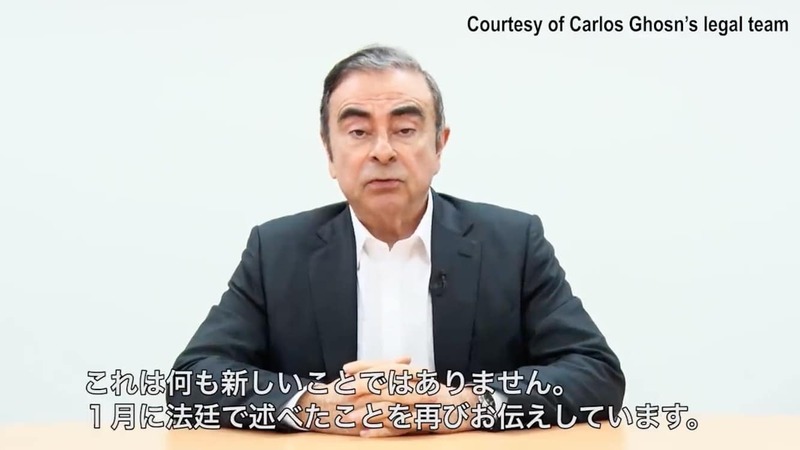 In the video, his first public statement since his initial arrest in November, Ghosn accused “backstabbing” former colleagues of conspiring to get him fired from his job as Nissan chairman and threatening the Japanese automaker’s future. 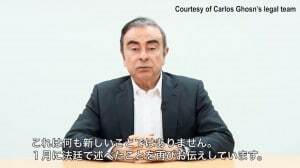 The seven-minute video was edited by his legal team to remove the names of people Ghosn accused of treachery due to legal concerns. Ghosn said fears that he would bring Nissan closer to Renault sowed the seeds of treachery. This entry was posted on Friday, April 12th, 2019 at and is filed under Asia Pacific, Automakers, Business, Executives, Lawsuits/Legal, Markets, Mitsubishi, Nissan, Personalities, Politicians, Renault, Sales. You can follow any responses to this entry through the RSS 2.0 feed. You can leave a response, or trackback from your own site.